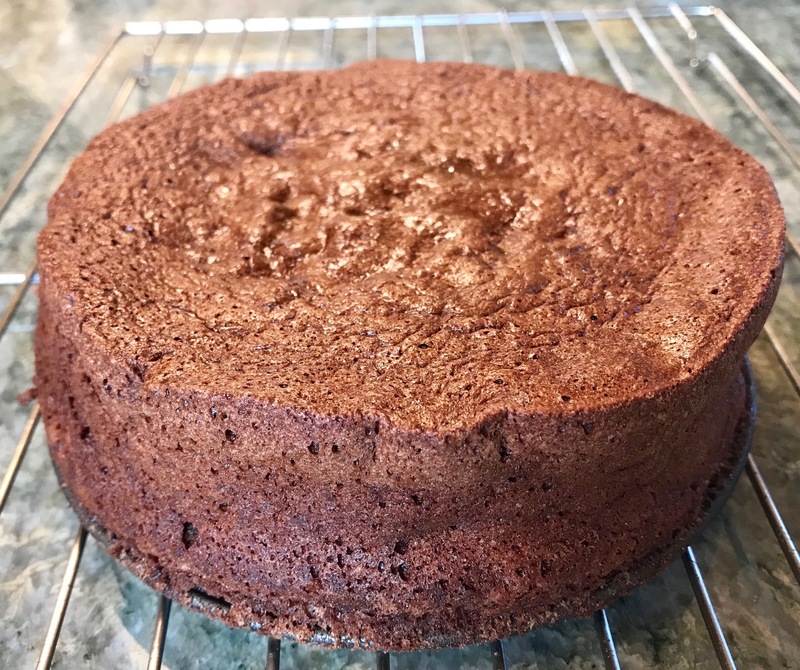 This cake is dairy and gluten free! As more and more guests show up with gluten and dairy allergies, this is a good dessert to have on hand. It is not vegan, however, as it needs eggs. At the end of this post, you can read about my efforts to veganize this recipe. First I will say that I did not invent this. My friend Margarite saw it on the internet and told me about it after I showed her a flourless chocolate cake I found in a magazine. That particular cake had almond flour, tons of sugar, butter, and was very high in calories. I knew that I could make it healthier and even try to make it vegan. But then she showed me this recipe that only had two ingredients - chocolate and eggs. I couldn't believe it! Although she had seen the recipe, she had never made it so I invited her over for the big experiment. 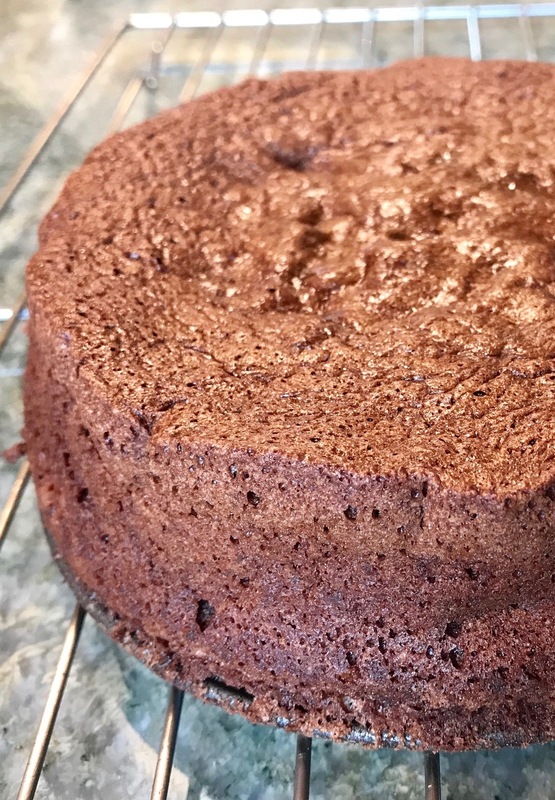 If you make it with vegan chocolate, it will be dairy and gluten free. 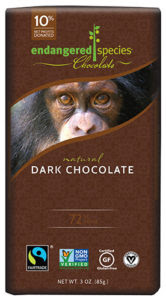 My favorite chocolate is Endangered Species Natural Dark Chocolate - 72% cocoa. You can use any of your favorite chocolate chips or chocolate bars - you just need 9 ounces. You can also spruce up the cake with berries and powdered sugar. Preheat the oven to 325 degrees F. Grease a 6" spring form pan. Place the chocolate in a microwave-safe bowl. Place the bowl in the microwave and cook, in 30 second increments, until the chocolate melts. This can take 1 minute or slightly longer. You can also melt the chocolate in a double boiler, which is a bit messier. Separate the eggs. Place the whites in a large, clean, glass bowl. Whip until soft peaks form. This can take a while so be patient. Let the chocolate cool a bit and then, one by one, whip each yolk into the chocolate until well combined. Gently fold 1/3 of the whipped egg whites into the chocolate/egg yolk mixture. Then repeat with the next 1/3 of the egg whites. And finally, with the last 1/3 of the egg whites. Pour the batter into the greased 6-inch spring form pan and bake for 30 minutes. Cool on a cake rack for 15 minutes or so. Then, release. You can dress this up with powdered sugar, berries, or a scoop of non-dairy ice cream! Per serving: 258 calories, 21 g total fat, 12 g saturated fat, 141 mg cholesterol, 7 g protein, 21 g carbohydrates, 12 g sugar, 5 g dietary fiber, and 47 mg sodium. Sometimes you just need an egg! Gifts for cooks and future cooks! Sorry my annual gift ideas is so late. You've probably done most of your shopping by now, especially for Chanukah, but better late than never. 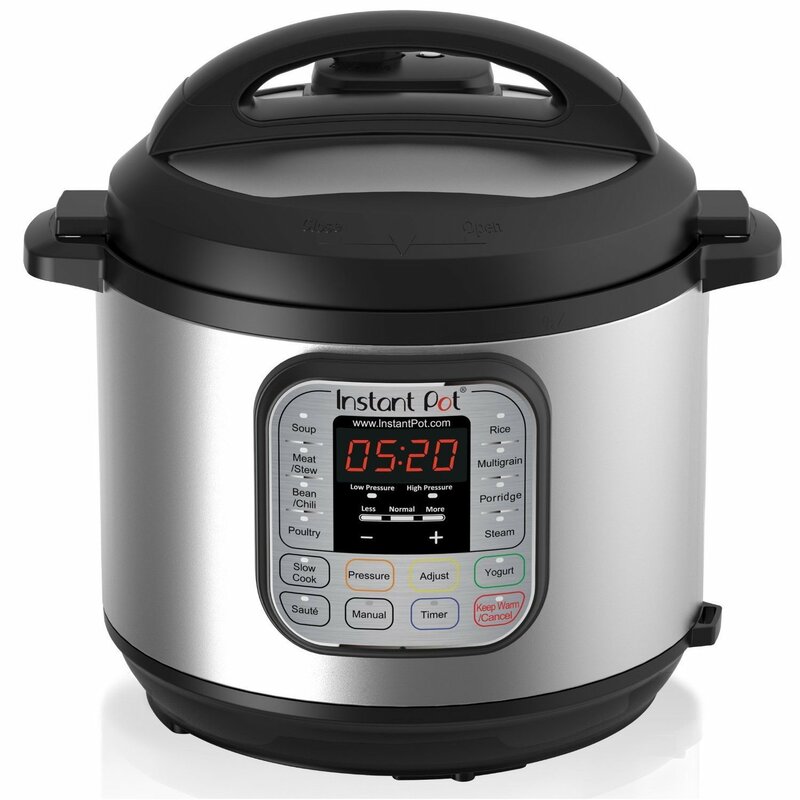 So the number one gift everyone seems to be buying is an Instant Pot. I can't recommend any gift more than this one. I've bought one for everyone who wants one and even for some who thought they didn't. It will simply revolutionize the way you cook. From dorm rooms to the fanciest kitchens, there is simply no better gift for the beginning or experienced cook! I highly recommend the 6 Quart 7-in-1 Instant Pot Pressure Cooker. They have a smaller 3-quart one which I think is fairly useless. I own a 6 quart and an 8 quart but I think the 6 quart is the best size for most people. A great gift for someone who already has an instant pot is a glass lid for the pot. I use this when I'm using the IP as a slow cooker or to make yogurt. This allows you to see what you are cooking when the pressure cooker lid is not required. 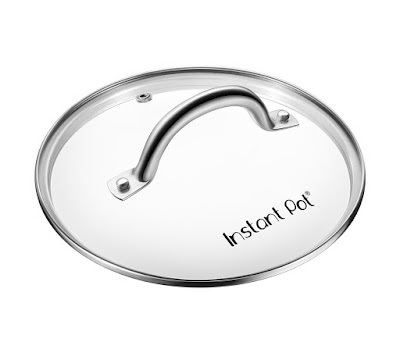 The Instant Pot glass lid is extremely useful and makes a great gift. One of my favorite Pressure Cooker Chefs and Cook Book authors is The Veggie Queen. Check out her books, and DVDs on the Veggie Queen Website. Jill Nussinow, "The Veggie Queen" has numerous books on Pressure Cooker recipes. This has been a really tough year for lots of folks -from those who have suffered hurricanes to those in California who have lost their homes in the fires. So a great gift would be a donation to a food bank in someone's name. To encourage philanthropy, give a family with kids an amount for them to donate so they can give some thought about those they wish to help. Hurricane and fire relief funds are great too, especially if you know someone in the effected areas. A gift to a local food bank makes a loving and thoughtful gift. Go to farmer's markets and holiday fairs and purchase locally made gifts. Or buy gift certificates to local restaurants or mom-and-pop stores. 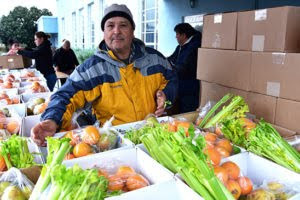 These will delight people with gifts and meals they can select for themselves while feeling good about helping their local community. More Ideas from Previous Years. 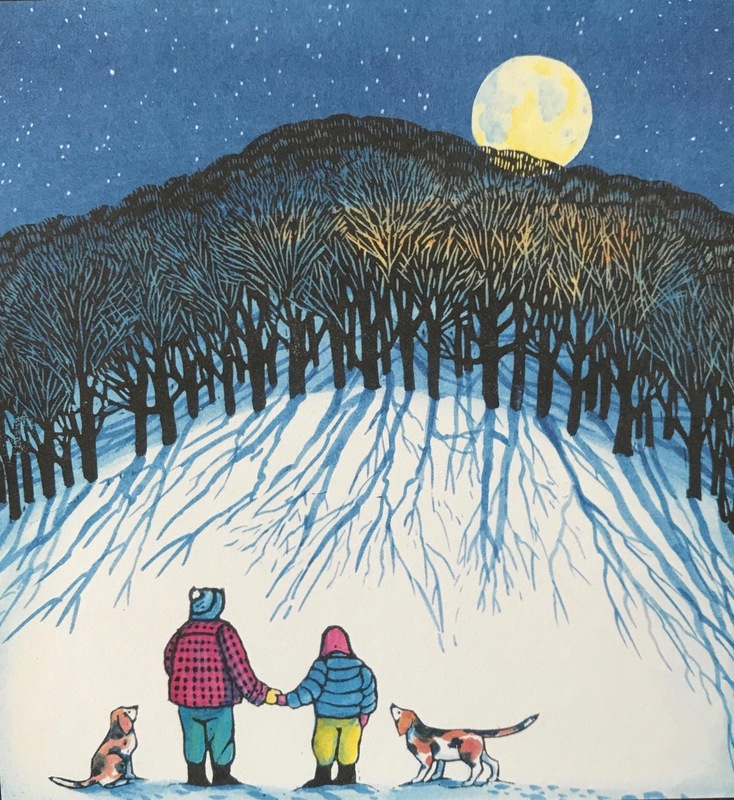 I have dozens and dozens of gift ideas from previous years, so here are some links to those. 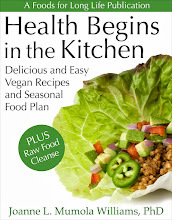 2013 - Great Christmas Gifts for Healthy Cooking. 2014 - Chanukah and Christmas Gift Ideas for Health-Conscious Cooks. Many Gifts Under $20 and $35. 2015 - 10 Holiday Gift Ideas Under $25. 2016 - Top 10 Healthy Holiday Gift Ideas. Check them all out and happy shopping!! This low calorie soup is excellent for weight loss. I'm probably not alone at wanting to shed the Thanksgiving pounds before the next wave of holidays. I've always been a proponent of healthy soups for making this happen. Here's a easy and delicious soup that is less than 150 calories per hearty serving and also has 6 grams of dietary fiber. Cauliflower is a cruciferous vegetable which contains the phytochemical sulforaphane. This compound has potent antioxidant and anti-inflammatory properties which contribute to its ability to prevent and treat several types of cancer. Inflammation also contributes to many long-term chronic diseases, such as cardiovascular disease, arthritis, and more. The high fiber content of cauliflower not only helps keep you full, contributing to weight loss, but also helps lower cholesterol, control blood sugar, helps feed your gut bacteria, reduces the risk of colorectal cancer, and keeps you regular. Instead of using cream, this soup gets its creamy texture from potatoes allowing it to be dairy and cholesterol free. Heat the oil in the Instant Pot by pressing the “Sauté” button. Add the onion and celery and cook until they soften, stirring frequently, about 3 to 4 minutes. Press the “Off” button. Add the cauliflower, potatoes, 4 cups of broth, bay leaf, salt, black and cayenne pepper to the Instant Pot. Secure the lid, press the “Manual” button, and set for 4 minutes at high pressure. When done, quickly release the pressure and remove the lid carefully with the steam pointed towards the back. Remove a cup or more of the cooked vegetables, roughly chop and set aside. Remove the bay leaf and add the lemon juice. 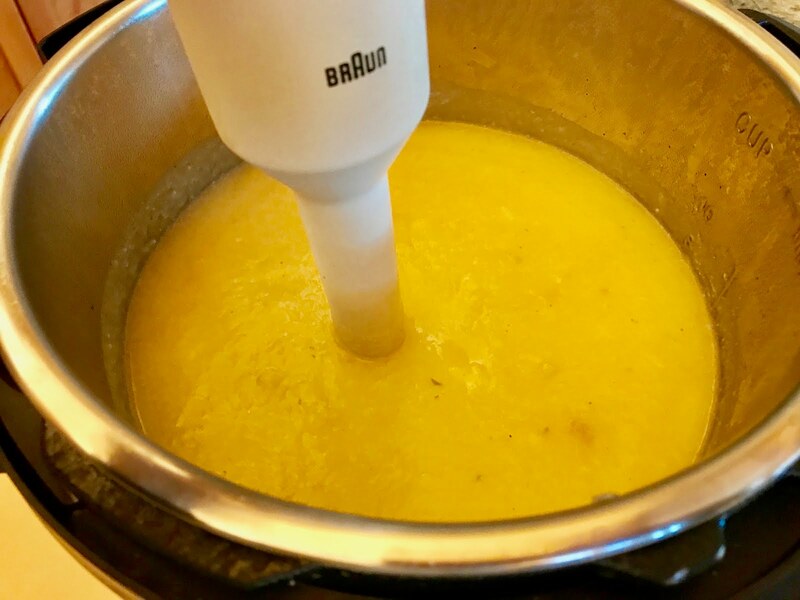 Using an immersion blender, blend the remaining soup until smooth. You can also do this in a blender but take care not to over process. For a chunky soup, remove some of the cooked vegetables before you blend the soup and put them back in after blending. 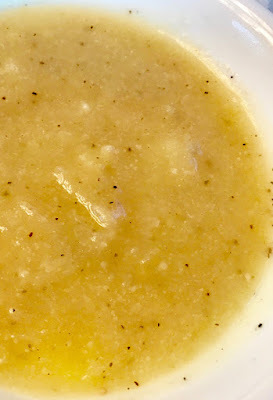 Skip this step for a completely blended soup. An immersion blender makes blending a lot easier. Stir in the chopped vegetables, adjust seasoning if needed, and serve. Per serving (6): 149 calories, 2 g total fat, 0 g saturated fat, 60 mg omega-3 and 219 g omega-6 fatty acids, 0 mg cholesterol, 6 g protein, 30 g carbohydrates, 6 g dietary fiber, and 438 mg sodium.